The Gryffin Suite- Huntsville Ontario! 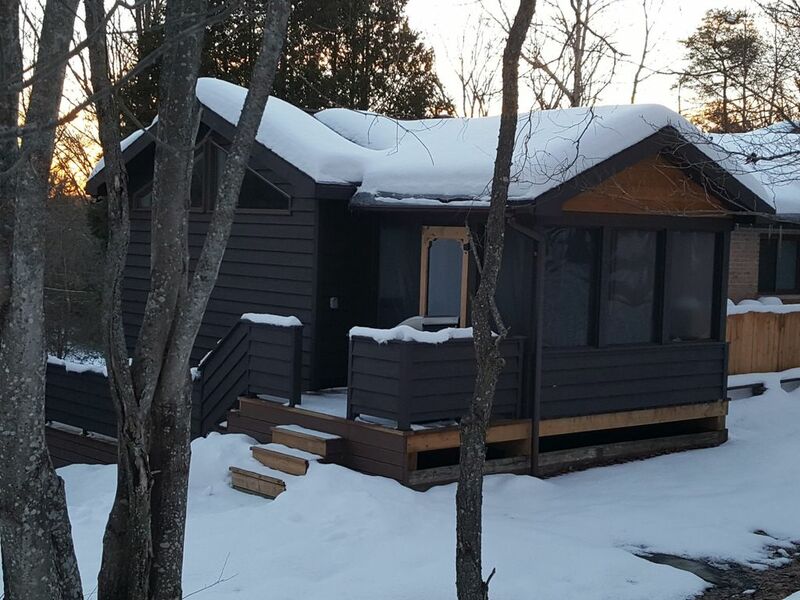 (Muskoka) Sleeps 2 adults and 2 children. The suite has been newly constructed. It is well laid out and has all the conveniences of home. You will have a private entrance and a designated parking space. The kitchen is fully equipped. BBQ, Towels, linens and toiletries are supplied. WiFi and cable T.V. are available for your convenience. The apartment has its own furnace and the thermostat is located in the unit. The suite looks out over 12 acres of our own private forest. We are just minutes from downtown Huntsville, The house is located 1000 feet from the road and is completely private. We have snowshoe trails on the property or if you prefer, Arrowhead Provincial Park has groomed trails just 10 minutes away! Algonquin Park, Lake of Bays, Golf Courses and the many waterways of Muskoka are all within 60 minutes away. We are located 15 minutes north of Bracebridge and 5 minutes south of Huntsville, just off of Highway # 11. Fairy, Mary, Vernon and Peninsula Lakes are all within minutes of the suite. There are public boat ramps where you can put your boat on the water. As of 2018 there is a public tour boat that leaves from the docks in Downtown Huntsville! The apartment is large and can accommodate 2 children or a third adult. We have a roll-a-way bed and an air mattress if they are required. We really enjoyed our time at Lynne and Jim's. Such wonderful people and the property was really quite nice. Lots of attention to detail and willingness to make our stay perfect. We will definitely come again.